The Beko Sense 1.6L Kettle adds a touch of style to your kitchen, but it also adds so much more. 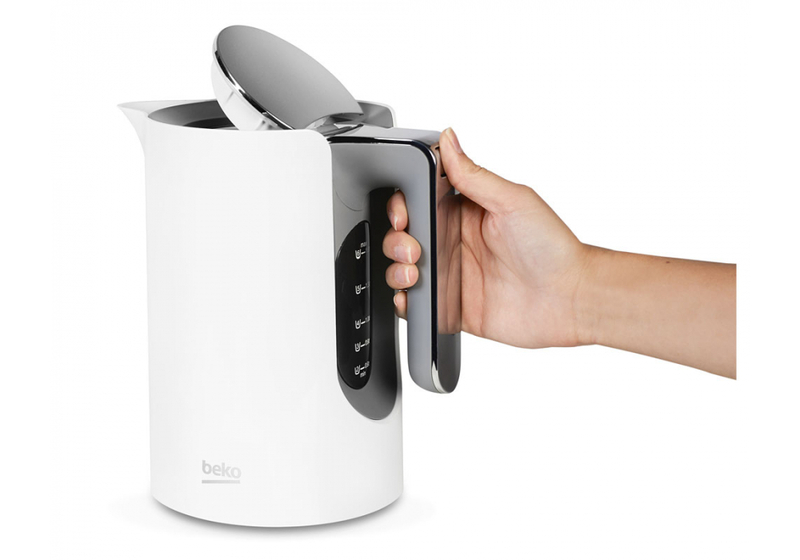 The excellent capacity means you can serve tea and coffee to family and friends quickly and easily, whilst the dry boil protection feature means you don't have to worry that you'll damage your kettle if you forget to fill it up. The 360 degree base and button operated wide opening lid mean that it is easy to refill, even with one hand full, and it is just as easy to use for a right- or left-hander. The white colour looks sleek and clean, and it will work well in any kitchen. You can get the kettle on its own at a great discounted price, or you can buy the kettle and matching toaster together for the even better price of just €50!